RJO Echo Trading is Here! 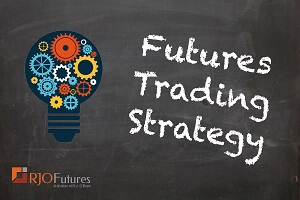 Have you ever wanted to get into futures trading, but don’t have the time or knowledge necessary to do so? If yes, then RJO Echo Trading is for you. RJO Echo Trading creates an easy and intuitive way for investors or “echo followers” to automatically match the performance of veteran and accomplished traders. As an “Echo Follower” you will choose from a selection of proven, vetted, and experienced “Echo Leaders”. Once you’ve chosen your selected leader, you will pay a monthly subscription fee and your account will automatically mimic every trade the leader makes, you don’t have to lift a finger! RJO Echo Trading eliminates the learning curve needed to trade futures, all the while creating stop-losses and trailing stops to mitigate risk. As a follower, you will get real time updates on your account performance and trades. If for some reason you don’t like what you’re seeing, you can chose to unfollow at any time. So come join the RJO Echo family! How Many Reasons Do You Need to Like Gold? Safe-haven trade? Currency trade? Inflationary hedge? How about the technical trade, since most disciplined traders use chart action to determine when to get in or out of a trade. Last year between mid-August through mid-October the gold futures based a long-term bottom at the $1,200 level. So, in roughly four months’ time, gold futures have rallied $125.00. That’s a trend. Now the fundamentals behind the big sell-off to $1,200 and the subsequent big rally was totally driven by the Fed. From an aggressive rate hiking forecast to literally slamming on the brakes on rate hikes. I’m here today to make a new call on gold futures that will fuel the next big rally! Fundamentals take time to change but I see two very compelling fundamental changes coming that will, in my opinion, drive gold prices back towards the $1,400 level. Gold production is down! That’s what happens when prices get too low. Secondly, we beginning to see increased demand in the precious metal for whatever reason…it doesn’t matter. Now here is what separates gold from other raw commodities. The higher the price goes the more that demand will increase and at a much faster rate than production can possibly increase. Gold is that one commodity that cannot curb demand with higher prices! So just to recap recent moves in gold. Down on Fed rate hikes. Up on Fed pause in rate hikes. Next move up on “real” supply and demand fundamentals. Tight supplies and increasing demand can last much longer than recent Fed driven action. Long term bull market returning to gold futures. If you have any questions or would like to discuss the markets further, please feel free to contact me at 800-826-4124 or fcholly@rjofutures.com. Front-month March silver is trading 15.590 down 16.2 cents on the day. Silver is tracking equities this morning to the downside, as retail sales came in with the biggest drop since 2009. Stocks are shrugging off weak retail sales. The big news on the horizon is the possibility of the Friday meeting with authorities to finalize a trade deal with China. A deal between the U.S. and China will likely foster positive global growth. In short, what’s good for China and the U.S. is good for everyone. Silver/gold ratio is back to 84.14, with a recent pressure on silver as bulls exit the near-term sideway to lower price action. The chart below doesn’t convince me that the highs are permanent and additional weaknesses are possible. A close below 15.00 most likely signal near term high, otherwise we are just looking at a consolidation for more potential upside. Crude Oil – Up, Down, Back Up! Crude oil has been in a sideways, ever so slightly bull channel, trading range for over a month now and on several occasions has appeared to try and break out both to the downside and the upside but to no avail. Over the last week of trading the market wants us to believe its ready to try and breakout to the upside again. Will it happen? The fundamental picture remains pretty much the same – questionable economic data suggesting a possible global slowdown, ample supply and soft demand, the classic fundamental story of any bearish market and yet the market hasn’t collapsed. Today’s weak retail sales data once again helped confirm fears of a weakening economic picture. In addition, we continue to see a strong U.S. dollar which puts pressure on commodity prices in general. Refinery capacity utilization remains weaker than year over year currently at 85.9% vs. year ago levels at 89.8%. This is interesting as it gives the market lots of room to ramp up demand for oil. Current stocks of oil stand at about 451.8 million barrels which is 28.7 million barrels more than last year this same time and above the 5 year average of 427.1. If you have any questions or would like to discuss the markets further, please feel free to contact me at 800-367-7290 or msabo@rjofutures.com. This week’s comment finds sugar right where we left it on our last visit. Recent price action has sugar caught in the same kind of sideways channel as crude oil, but where crude has been drifting higher, sugar has been lilting ever so gently lower. Yet, the story remains the same. Fundamentally, market watchers anticipate this year’s production to decrease and for surplus to be eased if not erased. Today’s Hightower comment highlighted second half January output in Brazil up by 1,000 tonnes according to UNICA. A small increase, but this could be just the start. However, if global production does decrease and the result is a deficit, sugar will likely have to rally. According to Hightower’s take on the COT for the week of Jan 15, the fund trader category is short nearly 50,000 contracts. This is not the giant short position commentators were looking for but there could be distortion due to the delay in COT reports. Technically, the chart looks to be rolling over. Recall that around the first of the year sugar was able to post quite a rally. Almost 9 days of positive price action carried the May contract from below 12.00 to almost 13.40. Since then sugar has been in a funk, giving back half of the rally from the beginning of the new year. The 18-day moving average comes in at 12.80. Today, 2/13/19, May sugar closed at 12.58. Closes above the 18-day will signal the market sees production deficits coming up. Failure to get back above the 18-day will leave the market under pressure and will embolden the commodity trading funds to increase their short positions. I still think traders could use puts to establish short positions as we move into the spring with closes above 13.00 to serve as a fine level for risk management. If you have any questions or would like to discuss the markets further, please feel free to contact me at 800-453-4494 or jnikruto@rjofutures.com. The coffee market started today higher after trading lower all this week, reaching a new low for the May contract of 100.60. Pressure this week continued from weakness in the Brazilian real as well as wet weather in key growing regions of South America. The Brazilian real bounced back from a spike lower on Thursday which caused some recover in coffee as well. World production decreases are still a possibility vs. last year’s record production numbers and a recovery in the Brazilian currency also is supportive. Weather forecasts show continued wet conditions next week but hot dry weather from January could have already hurt production. As commitment of trader’s numbers become updated, there looks to still be a large net short position that would trigger a short covering rally on positive fundamental news. May coffee had been trading in a sideways pattern between 105 and 110 before breaking lower on Monday. A close above that 105 resistance would reverse the trend higher and breaking the 110 resistance would accelerate the short covering rally. Trade below Thursday’s low of 100.60 would continue the trend to the downside. If you have any questions or would like to discuss the markets further, please feel free to contact me at 800-826-2270 or therrmann@rjofutures.com. The soybean market extended lower yesterday after export sales showed the largest net-negative number on record. Although there is progress on trade talks that was supporting the market overnight, a China deal may support other commodities more than soybeans. China has bought nearly 10 million tonnes of soybeans since December from the U.S. and additional buying seems unlikely in the immediate term, even if a deal is done. Two big cancellations on export sales weighed on the market yesterday. 807,000 tonnes cancellation out of China and 444,000 tonnes for an unknown, which is likely also China. March beans are closing in on the 100-day MA at 901.5. The market has not closed below this point since end of December. Supports comes in at 895 and 892 while resistance is at 911 and 922. Mixed signals from U.S/China talks pushed the corn market lower yesterday based on Trump possibly pushing back the deadline by 60 days. This was perceived negatively as it hints that talks may be stalling and making no progress. Overnight, we saw a bounce because of news that officials will meet in the US next week. There is a good chance that China could be a buyer of other agricultural products besides just soybeans as a good will gesture to kick off the new trade stance in an attempt to close the trade imbalance. March corn is up just ½ cent on the week and the trend continues to point lower from last Friday’s bearish outside day down. Support comes in today at 372 and 370 with resistance at 377 and 38. If you have any questions or would like to discuss the markets further, please feel free to contact me at 800-826-2270 or tcholly@rjofutures.com. In the past 8 cattle trading days we have seen traders try to push the price of the April fat cattle back to the contract high of 129.475. One of the factors supporting prices was; the winter weather and storms that rolled through the Midwest which caused limited weight gains, weight gains that are much needed for when the cattle go to market. A consequence of this is that the lack of weight gain for the cattle may cause some of the ranchers and feedlots to hold back some of their herds resulting in a higher supply to the market for the back-month contracts. Along with the weather, the possibility of the government not shutting down increases consumer confidence creating a boost in consumer beef demand. With all that news happening in the previous 7 trading days leading up to yesterday’s sell-off, it could have been seen as profit taking, but when you look at the lack of packer bids yesterday it does raise the question, is the demand as strong as it was from the beginning of last week? Or are we starting to see a lack of demand causing downside pressure against the price movements that saw gains from 6 of the previous 7 trading days. USDA boxed beef cutout values were up 65 cents at mid-session yesterday and closed 28 cents higher at $217.16. This was up from $217.02 the prior week. The Commitments of Traders report for the week ending January 15th showed Managed Money traders added 2,818 contracts to their already long position and are now net long 98,557. CIT traders reduced their net long position by 4,982 contracts in just one week to a net long 133,503 contracts. Non-Commercial & Non-Reportable traders added 4,954 contracts to their already long position and are now net long 100,344. In my opinion, the lack of weight on the cattle is a bigger market mover to the upside rather than a possibility of a shutdown and lack of demand from the consumer for the time being. A break above yesterday’s high (128.450) indicates a continuing increase up to the 130.000 level, creating a new contract high. If you have any questions or would like to discuss the markets further, please feel free to contact me at 866-536-8601 or pmcginn@rjofutures.com. Dollar bulls remain in charge, but we think that will change soon. According to our economic cycles model, we’re expecting a bottom turn in inflation, while U.S. headline growth continues to deteriorate in oncoming quarters. This style of an economic environment has not been typically been favorable for U.S. dollar bulls. Why? Because largely within this type of economic environment you start to see the beginning stages of a “dovish” pivot by the FOMC (which began in Dec and the Fed doubled down on this view in Jan). Easy, or easier monetary policy almost always has a negative effect on that host countries currency, or in this case the US. What caused the 2018 USD Bull Market? Looking back, the USD is coming off of an almost uninterrupted 8% (nearly 800 bps) rally that began on April 16th 2018. This was largely due to the capital flight and subsequent collapse in emerging market economies that had begun at the turn of the year in 2018. Moreover, the USD's counterpoint, the euro, has had its own trouble. The eurozone, has seen a broad slowdown across the region in industrial production and other key economic activity indicators. Italy’s economy has officially tipped into a recession following a recent GDP figure suggesting the Italian economy shrank by -0.2% in Q4 2018 and -0.1% in Q3 2018. The eurozone economic troubles have largely kept the USD in charge in the currency space by default, as Euro continues to struggle. However, we share the opinion along with many other industry titans, that we could be in the beginning stages of a recovery in Emerging Market economic activity. Over the near to intermediate-term, we think the USD trading action will largely be sideways with a bearish tilt (I hope that make’s sense to you). We say this simply because of the dire condition of the Euro currency at the present moment. After four rate hikes in 2018, the Fed has pledged to pause rate hikes in 2019. This could be considered good thing, but it also begs the question “did they pause the rate hikes in time?”. On the short-term the outlook is positive. After the fed declared they would pause rate hikes in early 2019, both bond and equity markets rallied. Some analysts cited pressure from the oval office as the main reason for the pause in rate hikes, but when we look closer we can see there were more pressing factors influencing this decision. The equity markets took a dive at the end of 2018 and it looked like that slide would carry into 2019 before the Fed announced its decision. The yield curve also had a major influence as it was trending towards an inversion and an inversion is an excellent prediction of recession. Obviously, the Fed wants to avoid that and acted as such. On a global scale, another contributing factor is the ongoing trade war with China and an overall slowing of world economic growth. Another interest rate hike would impact the economy with long periods of lags, thus contributing to already slowing growth. Only time will tell if these rate hikes were paused in time, but the short-term outlook seems promising. U.S. stocks were poised to open higher Thursday morning until the retail sales number and Coca-Cola’s earnings were released. Retail sales number had its largest monthly drop in ten years as the Commerce Department declared a 1.2% drop. The data was bad enough to reverse investor sentiment which was bullish on Wednesday after President Trump stated that talks with China were going very well and he hoped an agreement would be reached before the March deadline. Coca-Cola’s pre-market earnings announcement and yearly forecast also fueled the morning sell-off. Even though they met the analysts fourth quarter earnings estimate their concern for weaker than expected 2019 earnings dropped the share price by 3%. Key earnings after the close include Applied Materials and NVDIA. Look for support today 274000 and below at 273100 with resistance at 276000 and 277000. If you have any questions or would like to discuss the markets further, please feel free to contact me at 888-861-1656 or jyasak@rjofutures.com.